Earth's End: The Dharma Punks now available on ComiXology! The Dharma Punks now available on ComiXology! 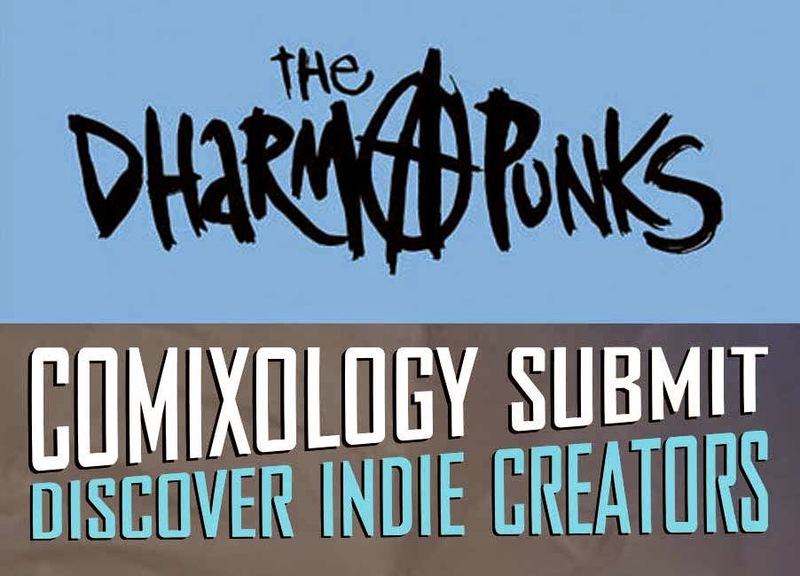 You can now purchase the individual e-book issues of The Dharma Punks through digital comics distribution giant ComiXology! The Dharma Punks #1: Auckland,1994: a group of anarchists conspire to sabotage the opening of a multi-national fast-food restaurant by blowing it sky high - and Buddhist punk Chopstick has volunteered for the mission! The original New Zealand cult classic series, written and drawn by Ant Sang. 42 pages, $0.99. The Dharma Punks #2: Chopstick and Tracy head into the city, but are soon separated as the night's events begin to unravel, and Chopstick makes a detour that will lead to an unexpected encounter. 45 pages, $1.99. The Dharma Punks #3: On his journey through the night, Chopstick meets the mysterious Mewt - a lone figure poised on the edge of Grafton Bridge. Has he arrived just in time to save her, or is she there to save him? Meanwhile a street gang of skinheads is hot on their trail... 44 pages, $1.99. The Dharma Punks #4: Cat and Bogus set their plans in motion at Bobo's restaurant, while Tracy searches in vain for Chopstick. Meanwhile we look back to the formation of their band, 'The Filth', and meet the girl who set their world ablaze. 43 pages, $1.99. The Dharma Punks #5: Attending a punk gig brings out a different side of Chopstick, as Mewt guides him deeper into the night. Meanwhile, Tracy finds herself caught between a rock and a hard place: a gang of vengeful skinheads and the unpredictable Jugga. 50 pages, $1.99. The Dharma Punks #6: A midnight swim brings about a revelation for Chopstick, as repressed memories and feelings rise to the surface. The skinheads make their move, and Tracy's fate hangs in the balance! Oversized issue - 70 pages, $1.99. The Dharma Punks #7: Double-sized penultimate issue! Chopstick faces his grief and reconciles with the death of his friend, re-emerging into the world to complete his mission...but is he already to late to save Tracy? The Dharma Punks #8: The day of the grand opening of Bobo's restaurant has arrived. After his ordeal, did Chopstick complete his mission? Will he ultimately find the peace of mind he's been searching for? All will be revealed in the final chapter of Ant Sang's cult classic series! Download the series now, and if you enjoy it, leave a review and rating!